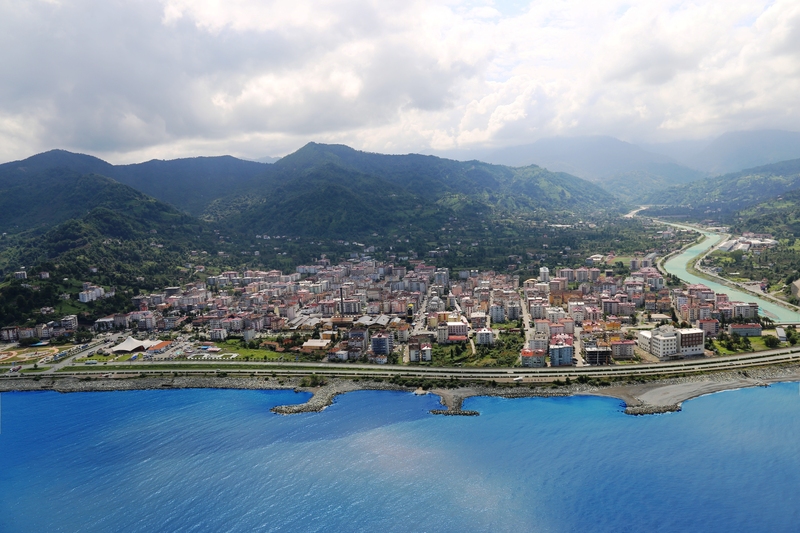 History Of Arhavi: It was connected to Rize Governorship of Sancak of Trabzon province after Russian invasion in Batum in 1877. Arhavi was given a sub prefecture statue in June 1954 following the connection of Hopa to Arhavi. Arhavi located in north of eastern Black Sea mountains is surrounded with the Black Sea in north, Fındıklı sub prefecture of Rize in west, Hopa in east and partly with Murgul and Yusufeli sub prefectures in south. Geographical Structure: Having the area of 314 kilometers square, Arhavi is located in two valleys, Kamilet and Derecik. The ground structure of sub prefecture is generally broken ground and mountainous. Its Centrum has a fiat land convenient both for agriculture and settlement. Education and Cultural Structure: In the sub prefecture area, 7 kindergartens, 1 primary school with board, and 3 high schools are available for children’s education. There is one cinema opened in 1997 in the Education and Culture Center of Çarmıklı, and’ one newspaper published in 2 days a week. In Arhavi, a Culture and Art Festival of Arhavi is organized in the August of each year under the auspices of municipality and sub prefecture governorship. Hawk hunting, hawk training, and hunting with hawk are special hobbies in this sub prefecture. Hawks are used for quail hunting. They’re let free to nature when hunting season is over. Health Care Service: Health care services are introduced in 1 State Hospital with 25 bed capacity, 1 Social Security Hospital with 40-bed capacity, and 14 rural health centers. Economy: More than half of total area of sub prefecture is covered with forests. Area economy mainly depends on tea agriculture and partly on hazel nut production. The cultivated lands in general are about 60,000 yards square. Apiculture has well been developed. The area has be en taken within the scope of “isolated region” from the bee keeping of Caucasus Race viewpoint. There are two tea factories, a chipboard manufacture factory and a pistol factory.